Looking back Ten Green Balloons started with a Thermos purchased for a dollar from an Op Shop in NZ... Rather than packing it (to bring back to Melbourne), the thermos went into my sister's garage sale… I can still remember my Neice saying "You won't sell that it doesn't even have a lid" and sure it was missing the cup but had the vital part of any good working thermos - its stopper - !!! 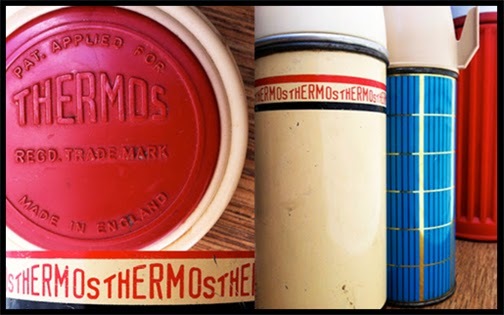 I've resisted collecting Vintage Thermos's - but still smile whenever I see a vintage thermos in an Op Shop, or at the Bazaar…. So I'm going to use that advice now, and START working on taking Ten Green Balloons to the next level - I'm not completely sure what that means yet and what the next level is but writing about it here on the blog is a START..